California’s experiment with marijuana legalization is proving extremely popular, but high taxes mean consumers still have a robust appetite for criminal-market cannabis, a new industry report claims. Eighty-four percent of Californians say they are “very satisfied” with the legal market. 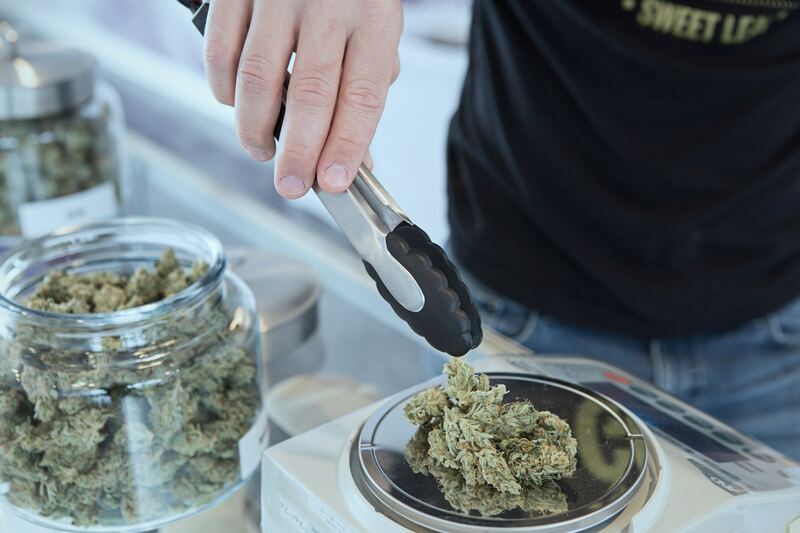 However, 18 percent of California marijuana consumers bought cannabis from an unlicensed business or supplier in the last three months, according to the analysis, and say they will do so again as long as taxes remain high. The report, “The High Cost of Legal Cannabis,” was published on Wednesday by Eaze, a San Francisco-based software company that facilitates marijuana deliveries. 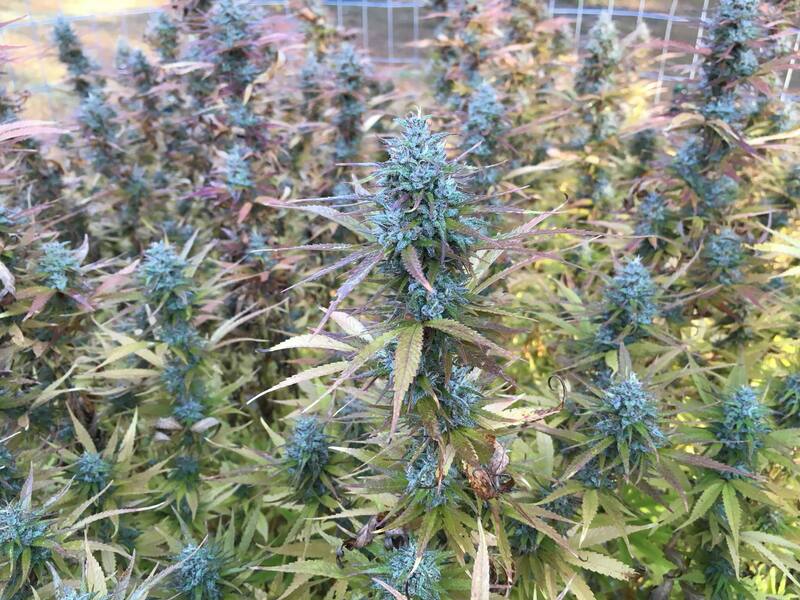 It is also the first such analysis to be published following disappointing, lower-than-expected sales figures in the first few months of California’s legalization era. California voters legalized recreational marijuana for adults 21 and over on Election Day 2016, and sales at licensed retail outlets began on January 1, 2018. Earlier this year, Gov. Jerry Brown (D) estimated that excise tax revenue from marijuana sales would total $175 million. The state collected $34 million in excise tax revenue during the first quarter of 2018, leading the state Legislative Analyst Office to predict a lower haul for the year. 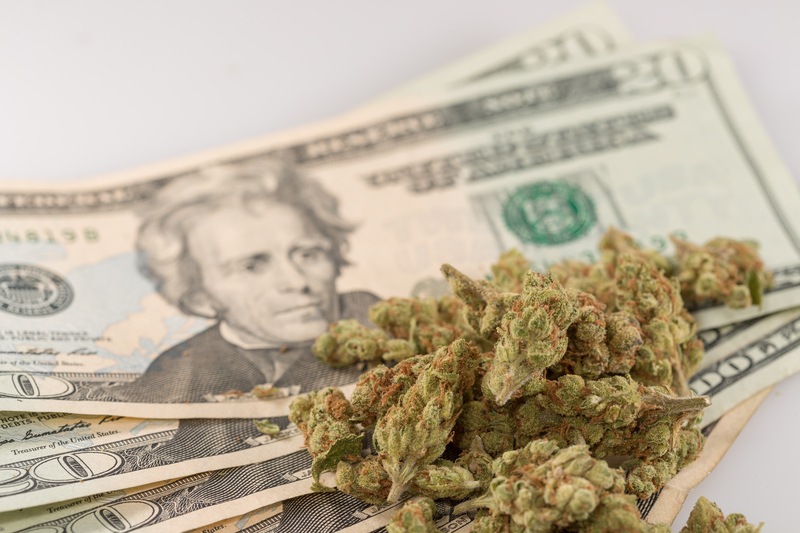 With sales and cultivation taxes included, the state collected $60.9 million in marijuana-related tax revenue through the first quarter of 2018, the California Department of Tax and Fee Administration reported in May. Marijuana purchases in the state are subject to a 15 percent excise tax as well as state sales taxes. Localities like cities and counties can also apply a local tax. With these, on top of a $9.25-per-ounce cultivation tax, taxes on legal cannabis in the state can reach 40 percent or more—the highest in the United States. And most cities in the state ban commercial marijuana sales outright. According to the San Jose Mercury News, retail cannabis sales are allowed in only one out of every seven cities. *Properly labeled and tested cannabis is popular with 85 and 75 percent of consumers, respectively. *The most common consumer complaints were high taxes (47 percent), the inability to use credit or debit cards for payment (36 percent) and overpriced products (32 percent). 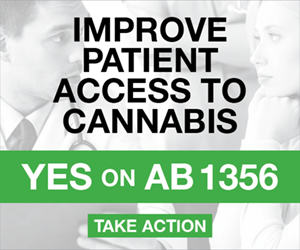 *The average cannabis user in California is 38 years old. Eighty-five percent of Eaze users are college-educated, and 33 percent are parents. *And nine out of 10 marijuana consumers say that cannabis has a medical application. 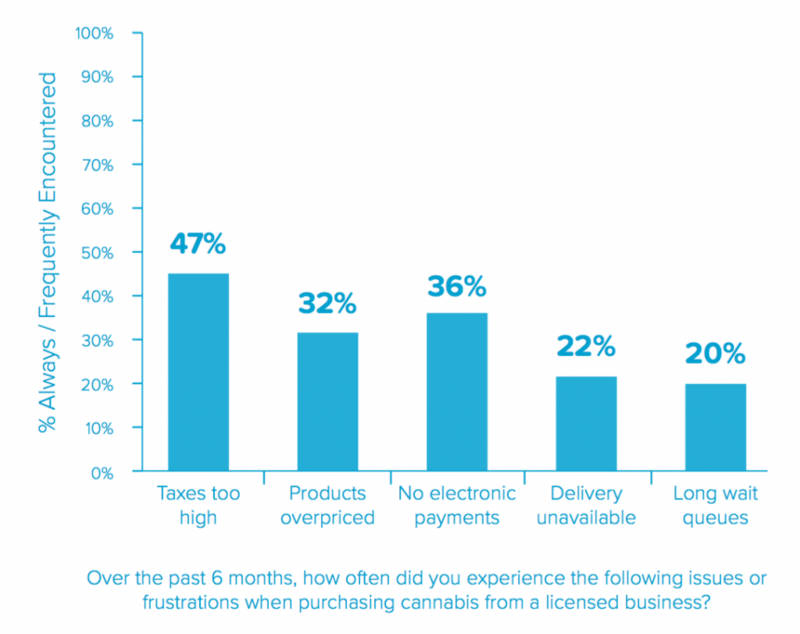 Eaze’s analysis was based on 1,750 online surveys submitted by its users between July 6 and July 12.